WebRTC (Web Real-Time Communication) is a free technology that provides mobile applications and browsers with Real-Time Communications capabilities through simple application. The collection of application programming interfaces and communications protocols in WebRTC. Enables Web applications like file transfer, video conferencing, desktop sharing and chat without the need of either internal or external plugins. Google launched WebRTC an open source project for mobile application and browser-based real-time communication on May 2011. WebRTC serves multiple purposes and provide powerful multimedia capabilities to the Web. Including identity management, file exchange, interfacing with legacy telephone systems, etc. Peer to peer connections can be established without compiling any plug-ins or special drivers adds plus point to WebRTC. Some of the important benefits of WebRTC are listed below. WebRTC is a free, open-source application programming interface with Google. The main goal of google for WebRTC to deliver free a standard-based, real-time media engine that can resident into all available browsers. WebRTC does not require to external plug-in maintain or support, when it is installed voice channel just becomes part of the UI and also allows the agents to log in remotely. WebRTC is a browser-based technology, which is simple to use and relatively easy to program. 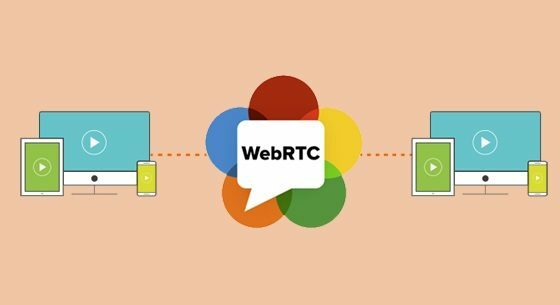 WebRTC enables users to participate in a real-time voice or video communications experience with another WebRTC device. Instead of having communications options defined by a few applications and service providers. The new technology of google allows the user to choose a website and allows the user experience to be unique to that site. WebRTC is proficient by enabling standard protocols from the IETF, W3C. One of the most exciting and amazing feature of WebRTC is Video that makes this technology even more engaging. The Opus codec is based on Skype’s SILK codec technology and WebRTC uses the Opus audio codec that produces high interesting voice. The video consist of VP8 codec that ensure compatibility and avoid the need for malicious code. One of the important benefits of WebRTC is along with advanced voice and video quality, WebRTC provides security in voice and video. The Secure RTP protocol is used for authentication and encryption and for both voice and video. This is exclusively beneficial over WiFi networks and also prevents eavesdrop of the video and voice. WebRtc supports the transaction of multiple media types and endpoints. WebRTC is a browser-based technology that allows to adapt to a wide array of network conditions. The important competitive advantage produces a skilled use of bandwidth conveys the best possible video and voice and communications.